And the most important point is: Is there a safe way to work with wildlife that are vicious in nature? Not completely. Predators are predators. There was an attack on a zoo keeper reported Wednesday March 3rd. 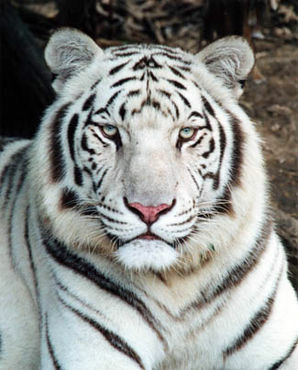 A rare white tiger has killed a zoo keeper in New Zealand according to local reporters. The attack occurred at the Zion Wildlife Gardens in Whangarei. Two men went into the tigers cage to do some routine cleaning when the tiger attacked. The tiger attacked the zoo keeper and would not let go while other workers tried to rescue him. The attack might have been witnessed by people touring the zoo. After the incident the park was closed and the tiger was killed. This report has come after another report of a lion attack in the previous year. The previous attack left a man with an injury to his knee that required surjery. This incident also had a white tiger involved in it. The incident is being looked into to see if the proper safety measures were taken. Is there a safe way to work with wildlife that are viscious in nature? The Zion Wildlife Gardens is home to 42 rare lions and tigers. The reality show Lion Man was shot at this location. The park is located 124 miles north of Auckland and houses many unique species of wildlife. Thank you for the info! Very sad! Very sad to hear of another zoo keeper's death but it is to be expected that this could happen working with them. There was no need to kill the tiger. It was just being a tiger. That makes the story even more tragic. What a waste. Why was the tiger killed surely before any routine maintenance is done the cage should have been cleared of the animals or at least partitioned. Absolutely unbelievable mismanagement and the death of a keeper and a beautiful wild tiger as the outcome. I t is bad enough when this sort of event occurs in interactions with keepers but when there is no need to expose oneself to the risk, why take it! This seems to be part of the problem with Zoos when they use the keeper interactions as part of the spectacle of entertainment for the almighty dollar even during cage cleaning activities. Altogether a most disappointing and sad day for the unfortunate keeper and his nearest and dearest to whom my heart goes out to and the unnecessary killing of the rare and beautiful tiger who was just doing his tiger thing! If heads need to roll it should be the Zoo's management as one assumes they had knowledge of the risks from repeated exposure to wild animals and the need to minimise those risks which unless the staff were disobeying instructions, management are responsible for! Sadly yet more evidence of the problem of containing wild animals in zoos period. May the souls of the keeper and the tiger whose lives were so sadly lost rest in eternal peace, through our Lord Jesus Christ. Amen! A very sad situation for all!!! My heart goes out to the the keepers family and his loved ones and the innocent tiger who was just being a tiger. Thanks for the post Cher. Peace. If they wanted to clean, animal should be separated. these poor animals just dont have a chance know matter were they are anymore,first you lock them up so that they can be totaly degraded then you give them a shity little space to live in and then you invade that shity little space and get killed because tigers are very teritoreal,now they get killed for protecting that shity little space,that poor poor tiger,thanx cher. Sadly not�, The zoo keeper was unfortunate here. It is sad that the zoo keeper was killed but what is more tragic is the death penalty served upon that tiger for doing what is natural by defending it's territory. They would be wise to release the remaining tigers back to their natural habitat where theys belong. Thank you Cher. R.I.P. Zoo keeper and god bless, R.I.P. dear tiger too, you are now free at last. why was the tiger killed?? i don't understand. it did nothing wrong. it was doing what any cat would do when prey comes within reach of it . why did they have to murder it?? i don't understand. thank you Cher. People who run zoos just don't get it, tigers are wild animals and can be dangerous. If someone was careless and got killed then that is the risk of the job. The tiger paid with his life for being a tiger. However, I do feel for the keeper's family and extend my condolences.